Most people know at least one person that has had a cesarean. Not many realize that there are a variety of incisions that can be used on the uterus during that cesarean. The most typical incision is a low transverse incision, which is a horizontal cut in the lower portion of the uterus usually called the lower uterine segment (LUS). Due to the lack of shorthand to describe the more unusual uterine incisions such as classical, inverted T, J, upright T or any cesarean incision other than the low transverse incision, I started calling them Special Scars. Without a way to describe these incisions, women weren’t getting the information and support that they needed. An inverted T incision starts out with a low transverse incision and then the OB makes a vertical incision upward in the center of the uterus. A J incision also starts out with a low transverse incision but the OB makes the vertical incision up along the side of the uterus rather than the center, perhaps because the placenta or the baby was in the way. An upright T incision can happen in two ways; either the OB started with a low vertical incision and then needed more room at the top of the incision or started with a low transverse incision and made a vertical incision down toward and sometimes reaching the cervix. These three incisions are usually used for babies that are severely malpositioned and/or very stuck. The vertical portion of these incisions can range from a few millimeters to several centimeters. These are also usually contained within the LUS, but can extend into the upper uterine segment (UUS). Classical incisions are vertical incisions and can be placed just about anywhere on the midline (middle) of the uterus but tend to be in the UUS. There is some dispute about the standard placement of a classical incision. They are still commonly used for early preterm cesareans although some doctors have switched to using the low transverse incision for those as well. Finally, low vertical incisions are simply that, a vertical incision on the midline that is contained within the LUS. This is used when the baby is in a transverse lie or if the placenta is in a location where they would typically cut. Emotionally, the moms may suffer from postpartum depression or post-traumatic stress disorder. It is very likely that they were told many times during their stay in the hospital after their cesarean that they would never be able to have a vaginal birth after cesarean (VBAC) after that particular surgery. They likely heard that statement so many times that they believe it. When they find out that it is possible to have a vaginal birth after their Special Scar they may feel shocked, angry, betrayed or any combination of those. Sadly, there is no research about the emotional effects of these incisions on women. Once the woman decides she wants to have a vaginal birth it can be very difficult to find a care provider who is willing to assist a VBAC after a Special Scar (VBASSC). The search usually requires calling many doctors and/or midwives before locating one that will attend a trial of labor. When a care provider is not initially open to the idea, it is usually best to not even try talking them into it. It is unlikely that you will be the one to change his or her mind. University hospitals tend to be more willing to assist due to their size and staff. Some home birth midwives are willing to attend VBASSCs when not legally restricted from doing so by their state. Many care providers are unwilling to assist a VBASSC because the risk of rupture is slightly higher than the risk of rupture after a low transverse incision. The generally accepted risk of rupture for low transverse incisions is 0.4-0.9% while the risk of rupture for inverted T, classical and J incisions is 1.9%. (2) Interestingly, low vertical incisions have no more of an increase in the risk of rupture than low transverse incisions. (3) If the cesarean was performed preterm there is a minimal increase in the risk of rupture. (4) As we know from Dr. Sarah Buckley’s writings, if a woman is allowed to labor unhindered her birth much more likely to go as it was designed. Clearly, there is a need for further studies on these scars, the effects on future pregnancies and the effects on the mother emotionally. The few studies that are available used a relatively small number of subjects. Therefore, without clear evidence of exceptional risk the woman and her partner should be the ones to make the decision whether or not she attempts to have a vaginal birth. Care providers should not be making decisions about VBASSC due to a level of fear or a lack of information. Indeed, if the care provider does have that much fear he or she should excuse themselves from serving the woman and let her find a care provider who is willing to serve her and trust her body to work as it was designed. There are already a number of women who have succeeded in having a VBASSC. 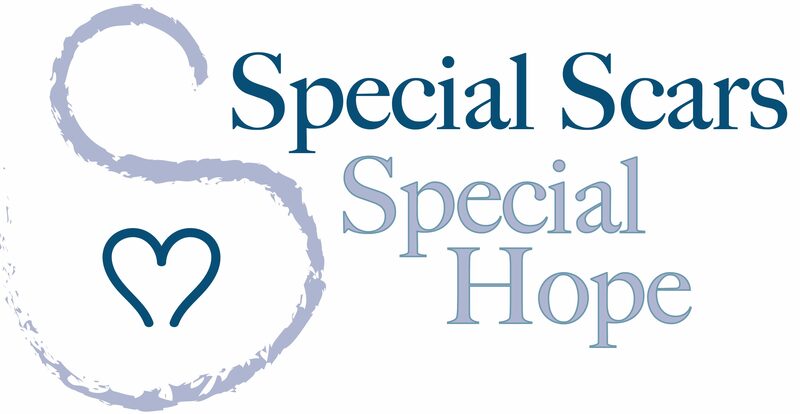 To read their stories, for more information about this topic and access to the studies that I have mentioned, please visit http://www.specialscars.org. (2) Landon et al. Trial of Labor after Prior Cesarean Delivery. N Engl J Med 2004;351:2581-9. (3) Shipp et al. Intrapartum Uterine Rupture. Obstet Gynecol 1999;94:735-40. (4) Sciscione et al. Preterm Cesarean Delivery and Uterine Rupture. Obstet Gynecol 2008;111:648-53. First published in Whole Woman Magazine, Winter 2011. Republished in birthNbabiesMagazine.